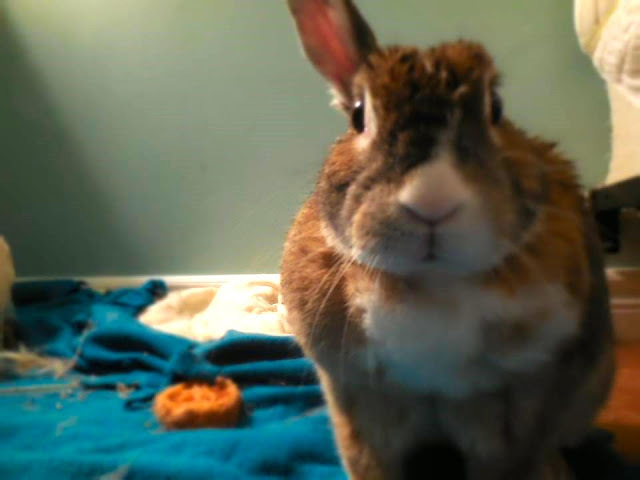 How many ears do you see hoomin?!? How many?!? Stay with me, now, focus, try to focus! I need coffea canephora, 500 milliliters, stat! Yes, I know it's nasty, but this one needs a real jolt! Coffea canephora! Look, Rabbit, just tell me how many ears you want me to see! Oh the things I learn on this blog. I had to Google it. They sure don't give us that down in the Tar Pits. Seems like maybe we would work faster if they did? Camilla, tell the truth...did you put poor Mellissa in this condition?